London’s Big Ben is recognized the world over. Located within the historic Palace of Westminster grounds, Big Ben is the name for the bell of the clock, but is also used to refer to the entire tower. Did you know it is the largest four-faced chiming clock and the third-tallest free-standing clock tower in the world (according to Wikipedia)? 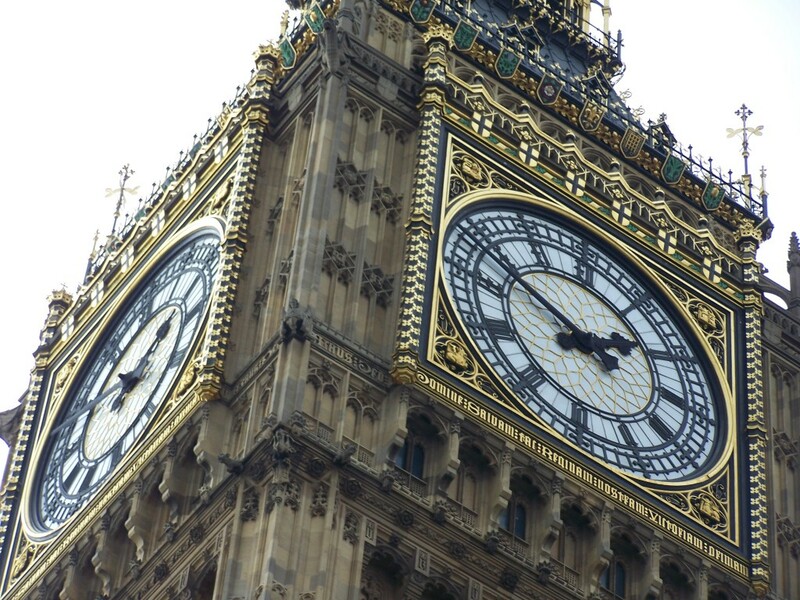 At more than 150 years old, Big Ben is one of the must-visits while staying in London. If you’re a resident of the UK, lucky you — you’re able to climb the 330-plus steps inside the tower to the top! For the rest of us, we get to take photos and imagine (or ask our UK buddies) what the interior of this iconic tower looks like. Have you visited Big Ben? Have you been inside? I love Big Ben! In fact when I take people who have never been to London before, I like to give them a unique experience when viewing Big Ben for the first time. I take the on the London Underground and let them walk out of the Westminster Tube station. If I time it right, they usually will walk out just before noon, so they can hear the clock chime 12 times! OK, next time I come to London I am going to need that tour please! I’m obsessed with clocks, so I love this pic! Haha!! I didn’t know that! Glad you like it babe!